Join the Boulder Museum of Contemporary Art for their annual OPEN WALL event. 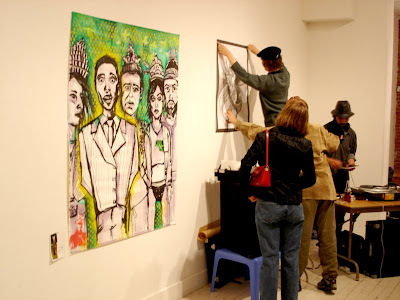 Artists frmo the community are invited to hang one piece of work for the evening in the museum while dancing to tghe rockin' beats of a DJ with tasty libations and special treats. This event is FREE to members or to those who purchase a BMoCA membership at the door for $35.